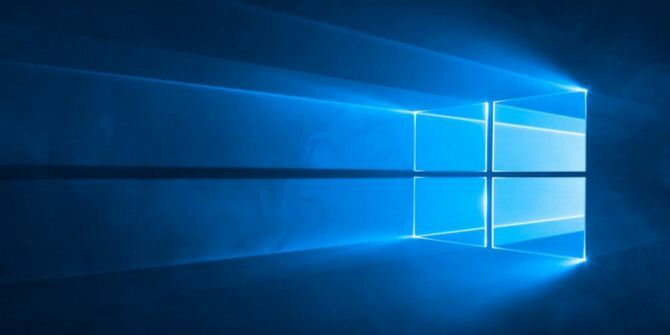 The Continuum feature in Windows 10 is one of the more compelling reasons to make the upgrade 10 Compelling Reasons to Upgrade to Windows 10 10 Compelling Reasons to Upgrade to Windows 10 Windows 10 is coming on July 29. Is it worth upgrading for free? If you are looking forward to Cortana, state of the art gaming, or better support for hybrid devices - yes, definitely! And... Read More if you haven’t already. It makes the user experience much smoother and can even boost your productivity for certain tasks. Not sure what Continuum is? Check out our introduction to Continuum on Windows 10 Continuum: Switch Between Windows 10 Desktop & Tablet Mode Continuum: Switch Between Windows 10 Desktop & Tablet Mode Windows 10 recognizes your hardware and instantly chooses the best display mode. When you connect your Windows 10 Mobile to a larger screen, you'll get a PC-like experience. That's the smoothness of Continuum. Read More . In short, it’s the contextual transition between Desktop and Tablet modes on mobile devices (such as when you plug in a keyboard). Win Key: Toggles the Start screen. Win + A: Open the Action Center. Win + C: Open Cortana (listen mode). Win + E: Open the File Explorer. Win + I: Open Settings. Win + K: Open Connect. Win + L: Lock the handset. Win + O: Lock the device orientation. Win + P: Open Display. Win + S: Open Cortana (search mode). Win + U: Open Ease of Access Center. Win + Tab: Open the Task View An Introduction to Virtual Desktop & Task View in Windows 10 An Introduction to Virtual Desktop & Task View in Windows 10 Windows 10's new Virtual Desktop and Task View features are quality-of-life enhancements that you shouldn't overlook. Here's why they are useful and how you can start benefiting from them right now. Read More . Win + Backspace: Go back. Win + Space: Change input language or keyboard layout. Win + Print Screen: Take a screenshot. Do you use Continuum on Windows 10? How do you like it? Are there any quirks that bug you? Tell us about it in the comments below. Explore more about: Continuum, Keyboard Shortcuts, Windows 10.